Can you believe it's January already? This time of year always flies by for me. I recently stopped at a small antique shop (Midway Treasures Antiques, Wedowee, AL) and picked up several awesome vintage garments, including this dress for only $8. There is some info about the original owner that I will detail in an upcoming post. This dress needed a bit of work - I let out the hips and waist a little bit, and I re-installed the zipper as it was hand basted and coming apart. I still need to hem it (widest part of calves is never a flattering length), but I thought the silhouette was so Joan Holloway and I love how the sleeves aren't set in (the name of this sleeve type is escaping me at the moment). 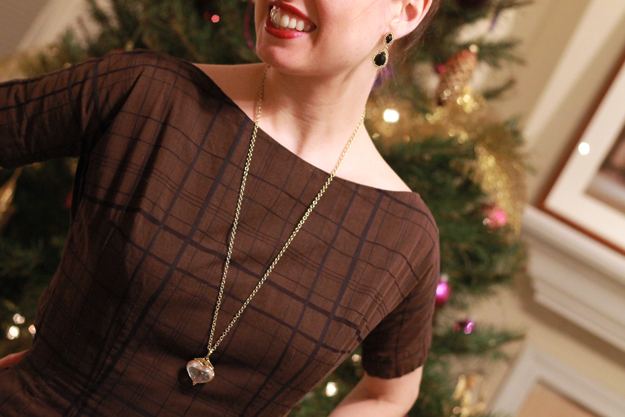 I also love how this dress is figure flattering and skimming without being too short, too tight, or too revealing - ah, the beauty of well-tailored dresses from a bygone era. Anyway, I can't wait to share a few more vintage garments with you, but they're quite springy/summery and may not make an appearance for a while. Thank you so much for visiting today! Gorgeous! I love vintage looks. I really love those tights too! I wish you a happy and fashionable new year! I hope you keep posting the most feminine looks I've ever seen (like this), because I love your style so much! 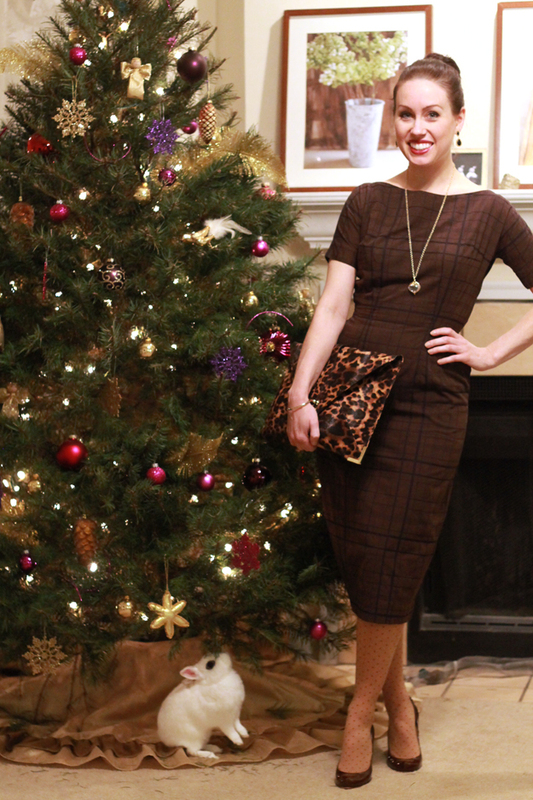 I'm really happy about finding your blog last year and I wish you the best for 2013! This still be one of my favorite blogs! $8??? You go girl. And you're right...the silhouette is gorgeous. Oh and of course your bunny is so cute. The colour of this dress really suit you. The tight are really cute too. Happy New Year! You always find the best dresses. I love the polka dot tights too. I adore this outfit! I love the leopard clutch accent. I think those might be Kimono sleeves? Somewhere between mid-century and now, Kimono sleeves have come to mean something very different. "Kimono sleeve" now means something loose and drapey, very different from a mid-century kimono sleeve. (I also see "bell sleeves" used incorrectly all the time!) I hope you don't go too short with hem, just under the knee would be fab! Or maybe mid-knee since you're petite! 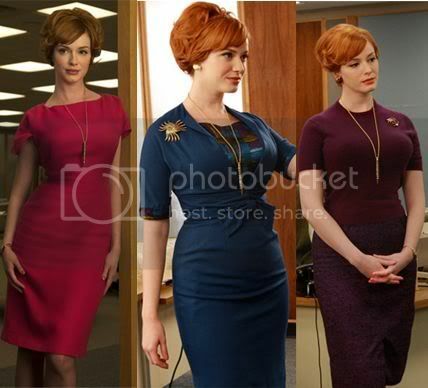 Love this dress you look so Mad Men! that bun of ur is signature, and im starting to realize why ur blog is titled the dapper bun! I love ur style, an i love ur posts!!! happy fri! xO! Such a great look, and I love the last photo. So so lovely! 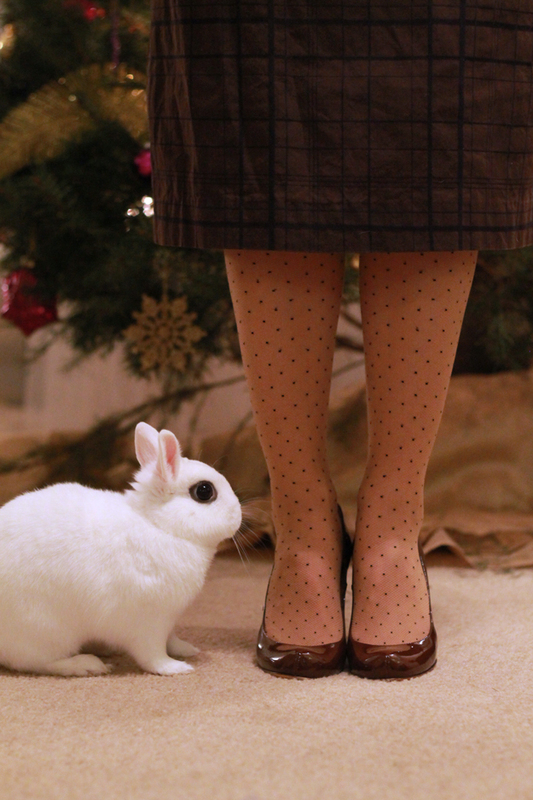 Flawless dress, perfect xmas tree and cute rabbit! This just might be the most perfect vintage dress I've ever seen...you're right, it just hugs your figure perfectly and is soooooo flattering! jealous you found it first. This is such a lovely look. You look stunning! I adore the vintage outfits :) I'm your newest follower!